Third, BHP will remain a member of the Minerals Council of Australia, provided that it refrains from policy activity or advocacy that BHP disagrees with within 12 months. The World Coal Association (WCA) has expressed support for technology neutrality in climate and energy policy frameworks. However, the WCA has supported policy stances that would improve the investment climate for HELE coal generation. BHP will not put up with this jiggery pokery. the first item listed as ‘A pathway to zero emissions from coal, supporting the deployment of all low emission technologies’. BHP, like many others, may see this as nothing more than dreaming that masks a preference for coal. The United States Chamber of Commerce (the Chamber) believes the 2°C Paris goal is unachievable, deplores the impact it would have on the US economy, claims that the Agreement is ineffectual as a framework for reducing remissions (because it has no mechanism to enforce emissions reduction pledges, and the burden of emissions reduction is distributed unevenly across the signatories) and opposes a price on carbon. BHP welcomes the Paris Agreement and is willing to work towards its achievement. BHP accepts that a price on carbon may be a necessary feature. has at times argued that energy policy should prioritise reliability and affordability over ‘other policy goals’. climate policy and energy policy are inextricably linked, and that energy reliability, energy affordability and emissions reduction should be considered on an integrated basis. believe governments should focus on setting policies to facilitate efficient markets. Government intervention in resources and energy markets should only be in response to a demonstrated market failure and informed by cost-benefit analysis. BHP provides $1.85 million a year to the MCA, around 17% of its revenue. Meanwhile National Australia Bank announced last week that it would cease all lending for new thermal coal projects. Other banks and financial institutions are also pulling back on coal. Last month the Australian Prudential Regulation Authority warned banks of ‘regulatory action’ if they did not take action to assess to assess climate risks in their lending practices. Alan Kohler on the TV last night said that the BHP action marked a turning point in peak body lobbying. Given the responses above it seems likely that BHP will part company with these industry associations. Change will not happen quickly and cleanly, but the stance taken by the regulator, which will be taken up by insurance companies, gives hope. The BHP statement may prove a significant milestone. Nevertheless we still have Terry McCrann hyperventilating that BHP has adopted stupidity as their core strategy and Alan Moran warning that BHP Billiton’s ‘green activism’ comes at a price. I put up this post Corporate responsibility on climate change cuts in this morning. According to the stats exactly no-one has read it yet. That’s a new one for me! I read it in a feed reader this morning – which apparently didn’t register. I’ll have to remember to click through in future. I read it too. The stats were wrong. You have been exceptionally productive these last couple of weeks. Are you “Spring cleaning”? Have a good break over the Christmas week, at least! And a Merry Christmas to all !!! Ambi, I just put my head down for a couple of hours, and steal a bit of time in the morning. What happens happens. Last night, looking at the stats as I do last thing, exactly no-one had read this post, which is new territory for me! Must be a glitch Brian. I had a read but didn’t follow any links. I may take a few days to get around to reading your latest posts. I note that Ian Dunlop stirred BHP Billiton into some action on climate change policy when he made 2 attempts to get on the board a few years ago. The first attempt caught the board initially unprepared, and there was a rush to build a case to exclude Ian, by saying BHP Billiton has a climate change policy in hand. If I remember correctly, I think you referred to this in an earlier post. The momentum has been building since for more tangible actions from other interest groups and investors. On Tuesday, the NSW Energy Security Taskforce released its final report, outlining the risks to the NSW electricity supply, and what needs to be done to improve it. This report has come about as a response to the “system black” event in South Australia last year – the politicians are all scared that it could happen here in NSW this summer. See this article at REneweconomy. The final report of the Energy Security Taskforce, released by NSW Energy Minister Don Harwin yesterday, said while a large- scale blackout of the power system was highly unlikely in NSW — the last one occurred in 1964 — the Sydney CBD could be without power for nine to 15 hours. There were “significant gaps in knowledge, preparation and planning for black system event in NSW’’ and costs could be as much as $136 million for every 200MW of load shed in the CBD for four hours. The South Australian event, in September last year, cost $367m. I think with a lack of action from various governments on energy security, the chickens are now coming home to roost. Poor governance and responsibility on both climate change and energy security are leaving us all in the lurch. Geoff M, thanks, I’ll follow those links later. Victoria and WA are also making significant efforts I don’t entirely keep up with. Jumpy, I’ve long suspected the statistics thingo is imperfect. New estimates from Snowy Hydro say the cost of their new scheme will be higher than first estimated. But the Snowy boss says no taxpayer subsidy will be required. Capital cost to be funded out of operating surpluses. Mr J may object: $ are coming from electricity consumers rather than taxpayers. But I say, if big companies are paying little company tax but using electricity, let them contribute to the social enterprise through electricity charges, at least. The NSW Energy Security Taskforce final report appears to cover a comprehensive list of risk factors to NSW electricity supply – I have only had a quick scan of this document so far. One risk factor that appears to be excluded from the report’s discussion is the effects of liquid fuel security on the electricity supply. NSW sourced approximately 88% of its electricity supply from coal-fired generation in 2016/17, and has the highest reliance on coal of any grid in the world (according to the REneweconomy article referred in my earlier comment above). Coal extraction and the transport of coal supplies to some of NSW coal-fired generators is significantly dependent on liquid fuels (an exception is Mt Piper Power Station, which is solely supplied by overland conveyor from the underground Springvale Mine). Coal miners and power station workers need liquid fuels for their vehicles to travel to and from their places of work. 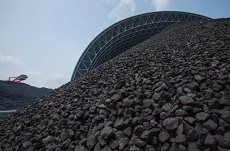 Open-cut coal mines may utilise machinery and dump-trucks powered by liquid fuels to extract and transport coal from the point of extraction to processing plants for washing and grading. Processed coal may be transported by road trucks or locomotive hauled rail wagons powered by liquid fuels. An interruption to the supply of liquid fuels could have a profound impact on the electricity supply network. •	Aviation jet fuel: between 15 to 25 days. Major storms, supply tanker delays, fuel contamination, unscheduled refinery shutdowns, terrorism, and war could contribute to disrupt Australia’s liquid fuel supplies, which could then disrupt electricity supplies. Although the NSW Energy Security Taskforce’s final report appears to be a comprehensive analysis of risk factors, I think it there’s a glaring omission concerning liquid fuel security. I wonder why this is so, considering I forwarded a copy of my PowerPoint presentation slides to Paul Toole MP, NSW Member for Bathurst, concerning our energy security challenges, to the NSW Energy Security Taskforce, and had more than one lengthy telephone conversation with one of the Taskforce secretariat staff members to confirm receipt and discuss my concerns (including liquid fuel security) mid-year. BHP Billiton may be starting to take some corporate responsibility by threatening to disassociate from the World Coal Association and the US Chamber of Commerce, and reviewing its membership of the Minerals Council of Australia. Recent reports indicate BHP Billiton is also attempting to spin off its US shale oil interests. And the NAB announced it is no longer lending for new thermal coal projects. But I wonder whether governments have the resolve to deal effectively with both climate change and energy security. Time is running out, and the window of opportunity to deal with the challenges is rapidly closing.